The narrator explains that he went on a tour of the Mammoth Cave with a group of others and a guide. Deciding that he was above the others in his resolve, interest, and resilience to being in the dark, he broke off with the group to go down forbidden caves. However, he got lost and could not find his way back as his light began to fade. He explains that he took this all with a calmness that others wouldn't have. However, he does call for the guide, knowing it is unlikely to help. But he does begin to hear a noise and realizes quickly that it is not the guide but something else entirely--something that at times walks on two legs and other times walks on four. He knows his chances are limited and picks up a rock. He throws it in the direction of the approaching beast but misses. He throws again and manages to hit the beast, who falls to the ground and is breathing heavily. With the beast wounded but not dead, the narrator determines what to do next but it's at this point when the guide comes along much to the narrator's relief. After showing immense relief about the guide finding him, he then turns back to the beast and with the light from the guide, they look at the beast. The narrator slowly reveals that the beast is bipedal and eventually realizes that this beast was or is a human of some kind or other. A standard "things that go bump in the dark" tale, it still has a good atmosphere and momentum to it. 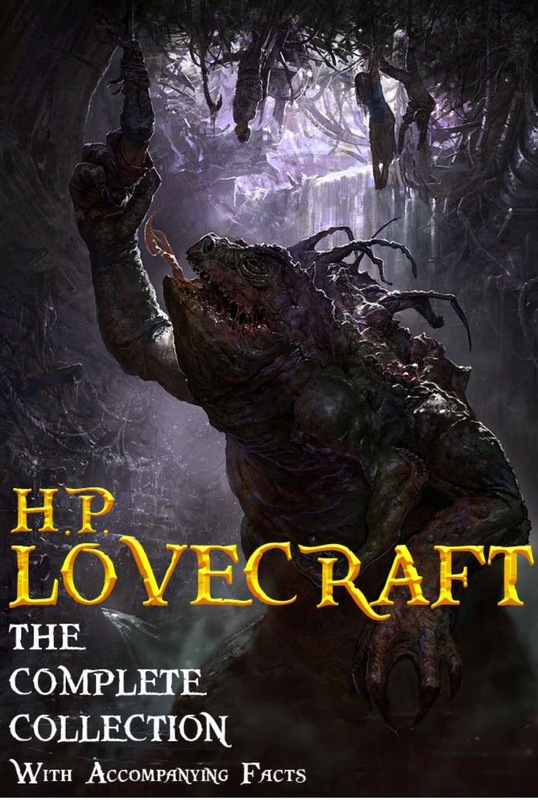 Lovecraft wrote this at age fourteen and it's pretty decent for a fourteen. It reminds me of Sir Arthur Conan Doyle's "The Terror of Blue Gap John" to some degree. It is interesting to see that Lovecraft from so very early on in his writing went with the first-person narrative. It's what drives much of his stories (and not surprisingly, many of Poe's classics).